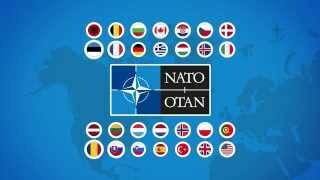 The NATO Security Investment Programme (NSIP) is NATO's long term investment programme. It represents one of NATO's 3 Resource Pillars that, based on the requirements identified by the NATO Defence Planning Process (NDPP), come together to deliver the NATO Capabilities required to fulfil the Alliance's Military Level of Ambition. The aims of the NATO Security Investment Programme are to enhance peace, security and stability, through reinforcement and maintenance of a solid transatlantic link demonstrating a strong affirmation of NATO solidarity and to continue the successful practice of sharing the roles, risks, responsibilities, costs and benefits that bind the alliance together. The essential elements of the NATO Security Investment Programme are referred to as Capability Packages and these Capability Packages consist of a number of projects. The number of projects contained in a Capability Package can range from one, referred to as a Stand Alone Project (SAP), to in excess of one hundred in some that require more complicated multi-national or NATO-wide implementation. NSIP is a programme as well as is a branch in ACT. The Policy and Programme Management (PPM) section manages all aspects of the NATO Security Investment Programme NSIP and the Capability Packages (CP) process related to ACT; monitors resource related NATO HQ' Agency Boards and Committees' and provides ACT input as required; operates the CP Management Information System (CPMIS) database and is responsible for the NAIP and delivers the Resource Management Education Programme (RMEP) Course at the NATO School, Oberammergau (Germany). The Capability Package Development and Coordination (CPD&C) section serves as the Technology and Engineering management link to the Policy and Programme Management section, the Staff Element Europe and other internal staff elements. The CPD&C staff members develop capability packages (CPs) and manage all allocated CPs. They also maintain CP status and management information, and coordinate the screening of NSIP projects at SC level. The Staff Element Europe (SEE), in close coordination with the NSIP BH, provides advice and coordination for all aspects of the NSIP to ACO and NATO HQ Staff. The SEE section head manages the ACT NSIP SEE Staff and serves as the SACT representative to the NATO Infrastructure Committee. The section supports the ACT Crises Response Operation Liaison Team and contributes to Crisis Response Operations Urgent Requirements requests through the Crisis Management Requirement Board. The NATO Security Investment Programme (NSIP) is the long term investment programme supported by funding from all 28 NATO Nations and is therefore referred to as a Common Funded programme. 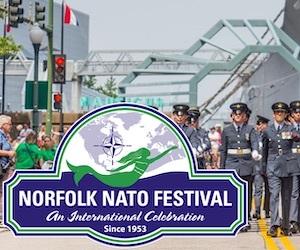 It represents one of NATO's 3 Resource Pillars that, based on the requirements identified by the NATO Defence Planning Process (NDPP), come together to deliver the NATO Capabilities required to fulfil the Alliance's Military Level of Ambition. The other 2 pillars are Manpower and Operations and Maintenance. The essential elements of the NATO Security Investment Programme are referred to as Capability Packages and these Capability Packages consist of a number of projects. The number of projects contained in a Capability Package can range from one, referred to as a Stand Alone Project (SAP), to in excess of one hundred in some that require more complicated multi-national or NATO-wide implementation. The current programme has 137 Capability Packages in various stages of planning, screening, approval or implementation and together represents a commitment by the Alliance nations of over 8 Billion Euros. The cost of individual projects can range from as little as 50,000 Euro up to several million Euros in some cases. The building site that you pass each day coming into the main building is a good example of an NSIP project in progress. There is also a smaller programme, within the NATO Security Investment Programme, called the Minor Works programme that deals with smaller projects in a slightly different way. As an example, the headquarters used the minor work programme to fund the expansion of the SACLANT conference room facilities after the 7- Nations expansion in 2004. Due to the size of the programme, the funding of all these Capability Packages is planned to take place over a number of years. The planned investment, together with the necessary manpower and support costs are the focus of a process that culminates in a document called the Medium Term Resource Plan. The plan looks out over a five year period e.g. 2014-18, 2015-19, 2016-2020 and is updated on an annual basis. Within that plan, the annual amount of expenditure for the NATO Security Investment Programme is set and controlled by the senior resource committee in NATO, the Resource Policy and Planning Board (RPPB) and is referred to as the NSIP ceiling. The ceiling represents a commitment by the Alliance Nations to spend funds on identified and approved Capability Packages and Projects (CP&P) up to a certain amount within a calendar year. For example, the ceiling for 2014 is 700 Million Euro and the ceiling for 2015 and 2016 has been set at 725 million Euros per year. Obviously, there is no point in planning to build something like a new Military Headquarters without planning for the necessary operation and maintenance cost of the building or identifying the number of personnel that will work there. 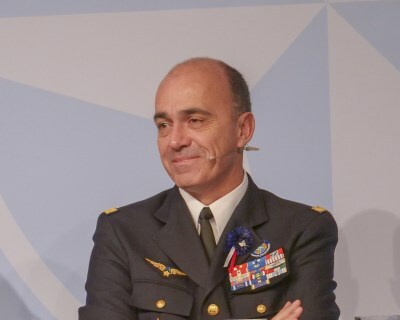 So while a Capability Package will identify the combination of capital investments, manpower and support costs that when put together with the necessary military forces enables a NATO Commander to achieve a specific Military Required Capability, the NATO Security Investment Programme deals only with the capital investments part of the process. In making the commitment to commonly fund investments for the Alliance, the Nations have identified a number of essential principles that must be applied before any expenditure can be authorised. The first and most important principle is that of "Over and Above". Over and above refers to the provision of a capability required by the Alliance that is "over" what is currently available within the Nations and "above" what would be considered reasonable for any single Nation to supply. 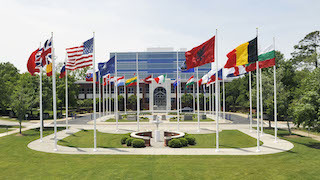 In addition to the over and above principle the range of facilities eligible for common funding has generally been limited to the NATO Command Structure Static Facilities, Permanent installations, Deployable Assets, Computer Information Systems and Crisis Response facilities. Although the over and above principle is strictly applied, the eligibility rules can be modified to accomplish the aims of the Alliance and exceptional eligibility can be granted for individual cases. Each request for NSIP funding is dealt with on a case by case basis and the fact that exceptional eligibility has been granted in certain circumstances in the past does not guarantee that they will be applied in the same way again in the future. The Nations have also agreed that they will only pay for the Minimum Military Requirement (MMR) to fulfil any particular capability. MMR is therefore defined as "the most austere facility required to fulfil a NATO military need identified by the NATO military authorities" i.e. the Nations will not authorise the procurement of a Rolls Royce if the capability, in this case for transportation, can be fulfilled by a Fiat 500 (no disrespect intended for my Italian readers). In addition to the long term programme of Capability Packages and Projects (CP&P), Stand Alone Projects (SAP) and the Minor Works (MW) Programme, the NATO Security Investment Programme also supports current operations through the Crisis Response Operations Urgent Requirements (CUR) system. More than 5,000 CURs have been supported during the IRAQ and Afghanistan Campaigns and while the MMR requirements are not limited to pre-agreed Criteria and Standards, as they are in most CP&Ps, the criteria of over and above and eligibility rules are still strictly adhered to. In all cases where it is identified that a capability requires some NATO common funding investment there are procedural steps to follow to attain the capability. In the case of a Capability Package, these are; Initiation, where a requirement is identified through the NATO Defence Planning Process; Definition, where the requirement is clearly defined and checked and a consolidate resource proposal to fulfil that requirement is identified; Approval, after screening of the proposal by the Military Committee (MC) to confirm the military requirement and the priority and by the Resource Policy and Planning Board (RPPB) to confirm eligibility and affordability the Capability Package is presented for approval by the North Atlantic Council; Implementation, by a designated Host Nation (HN) who work closely with the NATO Office of Resources (NOR) to define how and when the capability will be delivered and agree a Capability Package Implementation Plan (PIP); Operation of the capability through its life cycle by the Operational Commander and finally, Disposal, of the capability and deletion from the NATO inventory when the facility or capability is no longer required. The procedure for Crisis Response Operations Urgent Requirements (CUR) is essentially the same as that of a Capability Package but differs slightly in the screening and approval phase which shortens the procedure commensurate with the urgency that should be attached to current operations. Part 2 of this paper will expand on the Capability Package and its component parts and the entities involved in those processes for those who would like more in-depth information. Many of the areas that have been touched in this short information paper are more complicated, very detailed and time consuming both in their operation and in their explanation. If your role in the Headquarters involves working in or with any of the resource areas of NSIP, Manpower or Operations and Maintenance budgets we would recommend attendance at the 1-week Resource Management Education Programme (RMEP) course held at the NATO School Oberammergau (NSO) four times per year. If you cannot attend the school but would like more information on NSIP or any of the processes within the NSIP programme, please do not hesitate to contact Mr Tony Solomon of the NSIP Branch, Policy and Programme Management Section on Extension 4273. Part One of this paper discussed the basics of the NATO Security Investment Programme (NSIP). Part Two aims to elaborate on the Programme paper by expanding on the working vehicle that brings together all 3 of the Resource Pillars, The Capability Package. A Capability Package is always built against a requirement. More specifically where a requirement is assessed against the criteria of Doctrine, Organization, Training, Materiel, Leadership, Personnel, Facilities and Interoperability, the so-called DOTMLPFI criteria, it is more normal to develop a Capability Package against the Material or Facilities aspects of a requirement. There is no need, for example, to raise a Capability Package to address the development of or a change in doctrine. The requirements come from the NATO Defence Planning Process that has as its aim in Step 2 the identification of a single set of capabilities that NATO needs in order to meet its Level of Ambition. There are however, sometimes other politically driven requirements that can also be fulfilled by the development of a Capability Package, for example, changes in the NATO Command Structure or the re-location of a NATO facility. 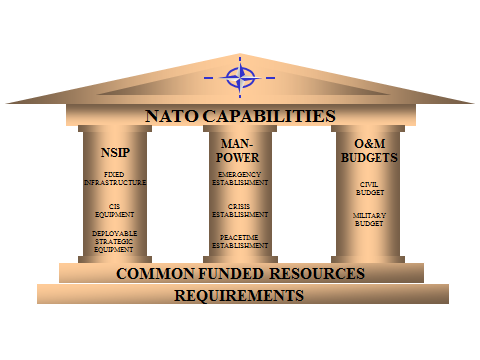 The relatively complicated definition of a Capability Package states that it is "A combination of national and NATO funded capital investments, O&M cost, manpower and other associated costs, which, together with the military forces and other essential requirements, enables a NATO Commander to achieve a specific Military Required Capability". Though the definition expands to other costs and essential requirements to cover all eventualities, it essentially boils down to the 3 elements of common funding previously discussed: NSIP, Manpower and Military budgets. The NSIP component takes care of the capital expenditure or investment i.e it pays for the building or procurement of an asset, the Military Budget takes care of the operation and maintenance (O&M) or running of the asset and Manpower is needed to operate or use the asset. On some occasions, especially where the requirement is to update or replace an obsolete system, the number of personnel required to operate a system can actually become a negative requirement in terms of manpower i.e. modern systems or facilities need less people to run them. However, where there is a requirement to build or obtain something new it would be reasonable to expect an increased burden in the operating budget of the owner of the facility. The individual components parts of a Capability Package that together, when fully developed, fulfil the requirement are known as Projects. A Capability Package can have any number of projects from one (which is normally referred to as a Stand Alone Project or SAP) to more than a hundred depending on the complexity of the requirement or the number of individual components that might need to be distributed and connected across the NATO-wide area. Each project within a Capability Package is assign to an individual Host Nation who is responsible for the delivery of that component. A Host Nation can be any of the territorial Nations of the Alliance, either of the Strategic Commanders or one of the NATO Agencies. It is not uncommon, particularly in the Computer Information System (CIS) area, for one Host Nation to be responsible for the delivery of a whole Capability Package. As previously stated the process of developing a Capability Package starts with a requirement and the list of those requirements comes from the NDPP in the form of Minimum Capability Requirements or MCR. Each MCR is assessed across the DOTMLPFI criteria by the Capability Board (CB). The CB is a 3* level board co-chaired by Deputy Chief of Staff Capability Development (DCOS CD) in Allied Command Transformation (ACT) and Deputy Chief of Staff Plans Directorate (DCOS Plans) in Allied Command Operations (ACO). It is therefore referred to as a Bi-SC Board. The CB has responsibility, amongst other things, to provide guidance and direction on the development and delivery of required capabilities, including timelines and priorities . Where the CB assesses that a requirement could be fulfilled by a Capability Package they would task the Bi-SC Capability Package Board (CPB) to investigate and where appropriate develop the necessary Capability Package. The Capability Package Board is also a Bi-SC board co-chaired by Deputy Chief of Staff Resource and Management (DCOS RM) at ACT and Deputy Chief of Staff Plans (DCOS Plans) at ACO. The CPB has the responsibility, amongst other things, to verify that validated requirements presented to the CPB can be delivered through the NATO common funding processes and to direct the most suitable solution to resource a capability requirement by establishing new Capability Packages or changes to existing ones . They also have the remit to endorse Capability Packages at each of their development milestones prior to the submission of a Capability Package to NATO HQ for screening, endorsement and approval. The CPB is therefore the controlling authority for Capability Package development and submission. Following the initial investigative staff work to establish the need for either a new Capability Package or an addendum to an existing one, the first formal part of the process is called Initiation where the need to develop a Capability Package is formally accepted by the Capability Package Board. This process establishes the 3 key players in the processing of a Capability Package: the Mission Sponsor (MISPO) who is the "Champion of the Cause", responsible for the delivery and management of the Requirement Definition (RD) and for the setting of the criteria to assess the Initial Operating Capability (IOC) and the Full Operating Capability (FOC) of the capability, including the required delivery dates; the Capability Package Coordinator (CAPCO) who acts as the single point of contact for Capability Package development, establishes and leads the Capability Package development team and is responsible for the development of a Consolidate Resource Proposal (CRD) identifying, over time, the investment, the operating cost and manpower requirements needed to fulfil the requirement; and the Operational Coordinator (OCO) who has the responsibility, as the customer and end-user's representative, to ensure that what is delivered is suitable for purpose and fulfils the requirement from a military perspective. This team needs to work closely together to identify any potential problems associated with the fulfilment of the original requirement. Initiation is also the point in time where the basic details of a Capability Package or addendum are added to the Capability Package Management Information System (CPMIS), a database controlled by the NSIP Branch in ACT to track Capability Packages from initiation of the idea through to disposal of the asset at the end of its useful life, the so-called "cradle to grave" aspect of the CAPCOs responsibility. The next stage of Capability Package development is defining the requirement where the Mission Sponsor (MISPO), in coordination with the Capability Package Coordinator (CAPCO) and the Operational Coordinator (OCO), needs to make the operational justification for the Capability Package i.e what is required from the military point of view to fulfil this requirement. The Requirement Definition or RD, defines the scope of the requirement in terms of required attributes (as opposed to actual assets), the timelines that those attributes need to be in place in the form of Initial and Full Operating Capability (IOC/FOC) dates, the types of forces to be supported and any initial assessments of the essential components of the requirement including any necessary envisaged logistical support. The Requirement Definition is broken down into 4 sections: The Commander's Mission Area, Military Function, Operational Assessment and the Required Capability. Once refined, the Requirement Definition is presented to the Capability Package Board for endorsement. This milestone, recorded in the minutes of the Capability Package Board and entered into the Capability Package Management Information Systems (CPMIS) ensures that the Capability Package is fulfilling the requirement of the Minimum Capability Requirement (MCR) defined in the NATO Defence Planning Process (NDPP) in both scope and time. A nominal period of time of 3 months is allocated to the development of a Requirement Definition from the initiation date. Once the Requirement Definition has been endorsed, the process of developing a Consolidated Resource Proposal or CRD is started. This process is led by the Capability Package Coordinator (CAPCO) in conjunction with the Mission Sponsor (MISPO), the Operational Coordinator (OCO) and his nominated team of Subject Matter Experts (SMEs) drawn from across the Strategic Commands. Essentially, the Consolidate Resource Proposal (CRD) assesses the assets required, by type and quantity, needed to achieve the required capability, compares it to the assets available throughout NATO, including both National and NATO assets under development or planned, analyses the differences between assets required and assets available and proposes ways to resolve any shortfalls needed to achieve the capability. 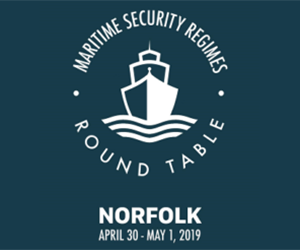 The outcome of this process identifies any shortfalls in capabilities available to NATO to fulfil the requirement across all three resource pillars: NSIP, O&M and Manpower. It is also possible that this process may identify capabilities that are surpluses to requirement and that should be disposed of by NATO. The Consolidate Resource Proposal is presented to the Capability Package Board for endorsement. This milestone, recorded in the minutes of the Capability Package Board and entered in the Capability Package Management Information System (CPMIS) ensures that the capability shortfall, identified in the NATO Defence Planning Process (NDPP) and refined during the Requirement Definition (RD) phase will be fulfilled in the most efficient and most cost effective way for the Alliance. A nominal period of time of 6 months is allocated to the development of a Consolidate Resource Proposal from the date of the Requirement Definition endorsement. With the addition of the Commander's Operational Impact Statement on what the impact would be of not approving the Capability Package and a summary of some non–military factors that could affect the implementation of the capability, the Capability Package is now ready for submission to NATO HQ for screening, endorsement and final approval. This is actioned through the Tasker Tracker system with either a Joint Chiefs of Staff cover letter or a single sign out letter from HQ ACT including a note that the Capability Package has been coordinated and endorsed by both Strategic Commands. 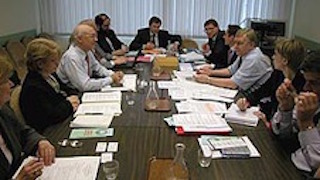 Following the submission to NATO HQ the Capability Package is simultaneously screened by International Military Staff (IMS) on behalf of the Military Committee (MC) to ensure that the Capability Package conforms to the military requirement and is allocated the appropriate priority and by the International Staff (IS) on behalf of the Resource Policy and Planning Board (RPPB) to confirm that the Capability Package is both eligible for common funding and affordable within the current and projected NATO Security investment Programme (NSIP) ceilings. This process is referred to as the screening process and culminates in a Joint Staff Screening Report (JSSR) which is formally presented to the Military Committee and the Resource Policy and Planning Board for endorsement. Only when both of these committees, which have representatives all 28 Alliance Nations, have endorsed the Capability Package is it presented to the North Atlantic Council (NAC) who are the only authority for approval of a Capability Package. Throughout the processes described so far, development, submission, screening, endorsements and approval, the Capability Package is dealt with as a single entity i.e it is a complete package. The approval of a Capability Package by the North Atlantic Council is the key event that signifies not only a commitment by the 28 Allied Nations to develop a capability though NATO common funding but also that the identified Capability Package, as a whole, represents the most efficient and cost effective solution to fill a recognised gap in the military capabilities needed to fulfil the Alliance's Level of Ambition. Once the North Atlantic Council has approved a Capability Package, the International Staff of the NATO Office of Resources (IS-NOR), in conjunction with the individual project Host Nation(s) develops a Capability Package Implementation Plan or PIP. The PIP outlines the project schedule for the CP. It gives an overview of any critical implementation issues and may contain a list of projects to be implemented with national funds. Where projects are to be implemented through common funding it will contain a list of projects designating the infrastructure expenditure profile and the planned implementation timelines together with any Operation and Maintenance (O&M) and manpower implications. The PIP is presented to the Investment Committee to programme the expected fund requests. The Host Nation(s) confirm that they are capable of implementing against the required timescale and the Strategic Commands confirm that the project scope represents the Minimum Military Requirement i.e the most austere facility required to fulfil a NATO military need. 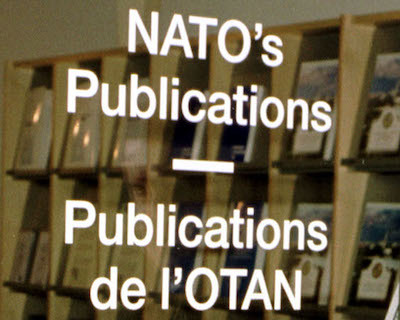 The Host Nation(s) are then responsible for requesting Advanced Planning Funds, where necessary, to develop a Type B Cost Estimate detailing the engineering estimates in sufficient detail for the International Staff of the NATO Office of Resources (IS-NOR) to support the Investment Committee's authorisation of funds to proceed with project implementation. The Host Nation is responsible for informing the Investment Committee of any delays in the project implementation schedule or in any changes of scope necessary as a result of the development work. Any significant changes to the Capability Package Implementation Plan (PIP) will be agreed by the Investment Committee after consideration of any impact statements reported by the Strategic Commands. 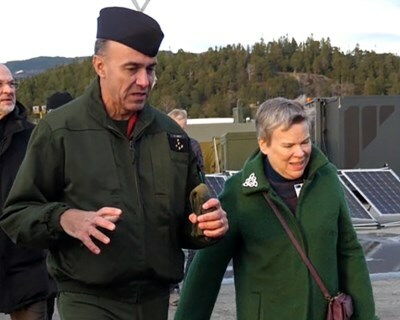 On completion of the implementation schedule the Host Nation would request a Joint Final Acceptance Inspection (JFAI) which is carried out by a team led by the International Staff NATO Office of Resources (IS-NOR). The inspection validates that the project output conforms to the authorised scope, is in accordance with good engineering practices and with any agreed NATO Criteria and Standards and is acceptable from a NATO military point of view. After any deficiencies are corrected the formal acceptance report is agreed by the IC and the product is accepted into the NATO inventory. 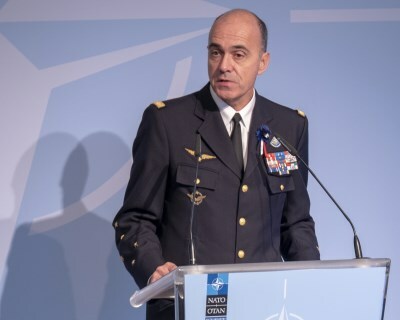 The capability remains in NATO use until such time as it is either obsolete or a future requirement cycle of the NATO Defence Planning Process (NDPP) deems it surplus to requirements and a formal deletion process is initiated. Resource Management Education Programme (RMEP) Course number M4-30 is a 1-week in-residence course at the NATO School Oberammergau. It is designed to present a more in depth overview of the Resource Management process in a detailed manner via the concept of the Military Budget (MB), NATO Security Investment Programme (NSIP) and Manpower. A more detailed description and course joining information can be found in the NATO School Oberammergau Catalogue.